Our Team — EnviroMINE, Inc.
Warren Coalson has over 35 years of experience with environmental analysis, land use planning, and environmental mediation in a variety of geographical areas throughout the western United States. Gaining experience from a variety of industry and agency permitting efforts, Mr. Coalson is a recognized expert in the implementation of the California Surface Mining and Reclamation Act of 1975 (SMARA). He has prepared numerous environmental impact assessment documents covering a wide range of impact issues. His entrepreneurial spirit and practical experience are beneficial in finding creative solutions to complex problems. Mr. Coalson established EnviroMINE in August of 1992. As President of EnviroMINE, he is personally involved with all facets of the business. Mr. Coalson has extensive professional experience in land use and environmental projects ranging from management of mining crews, market and resource evaluation studies for the aggregates industry, development of baseline environmental studies for mine permitting efforts, and current planning functions for agency planning departments. Industry planning efforts range from identification of potential mining properties, to the development of mining and reclamation plans, to completion of annual compliance audits and financial assurance estimates. Mr. Coalson has extensive lead agency experience where he has worked as an extension of staff in the review of mining applications, including the preparation of staff reports and conditions of approval. His experience with operations has allowed for the development of verifiable approval conditions that require limited field interpretation. Mr. Coalson has gained a reputation as an expert in royalty negotiations between property owners and mining companies. His work has included detailed analysis of market conditions, evaluation of market competition factors and completion of royalty surveys for various clients. These assignments are taken on a participation basis to ensure the greatest return for the property owner. Preparation of Environmental Impact Reports (EIR) and negative declarations for general plan amendments, subdivisions, water development, and mining projects. Manager of Planning Services for the City of Imperial Beach. Assistance in Planning Department Management Studies. Mr. Coalson was responsible for the preparation and maintenance of all mining permit documents for a 40,000-acre mine permit area. He supervised an on-site staff of nine full-time staff specialists, and was responsible for legislation review and negotiating mine permit stipulations with state and federal agencies. Other duties included evaluation and oversight of mineral lease acquisitions. He also served as Project Manager for a number of Environmental Impact Statements for mineral leasing and mining related land acquisitions. Mr. Coalson coordinated the work of a number of competing mining interests and Department of Interior personnel. In other areas, he was charged with the development and application of reclamation programs sufficient to reclaim an average of 300+ acres per year. His responsibilitiesincluded the development of operating budgets, reclamation bonding, reclamation design, monitoring, scheduling, equipment evaluations, reclamation supervision, water development andirrigation design. Mr. Coalson was later transferred to field operations where he served as Reclamation Foreman, Blasting, Coal Production Foreman and Processing Plant Foreman. In these assignments, Mr. Coalson learned to apply reclamation practices, heavy equipment operations, blasting, and heavy equipment maintenance. For the completion of these assignments, he was required to hold certification as a Mine Foreman and Blaster. Preparation of soil and overburden studies for company coal mining permit applications for active and proposed mining operations in Montana, Wyoming and New Mexico. Environmental evaluations of potential mining sites throughout the western United States. Vegetation surveys for pre-mining base line studies. Development of company-wide soil erosion monitoring program. Preparation of reclamation plans for mining permit applications. Assisted with the preparation of environmental documents for six coal mine development projects. Mr. Coalson served as a Research Assistant by gathering information on factors affecting soil erosion rates on over 250 timber-harvested lands in northern California. His efforts included soil mapping, preparing soil profiles, inventory of plant species, and establishing soil erosion measurement transects. Mr. Coalson assisted with engineering evaluations of all land development projects under consideration with the Planning Department. This included field check and review of survey calculations, inspection of road improvements, and water systems. Other areas of responsibility involved designing and processing of grant applications for the expansion of three county airports. Travis Jokerst has 12 years experience with project management, the implementation of GIS technologies, preparing cost estimates, and conducting annual SMARA surface mining inspections. Mr. Jokerst’s assignments find him working in a project management function to facilitate permitting of aggregate projects throughout California. These duties include communicating with the client, coordination with technical specialists, and representing the client’s needs before regulatory agencies. He is also fully capable with GIS technologies, enhancing his ability to bring a variety of information sources to bear to facilitate permitting efforts. Mr. Jokerst has also reviewed and prepared numerous cost estimates for reclaiming mine sites throughout California. His experience with conducting annual SMARA compliance reviews and inspections has been gained in the Cities of Redlands, Highland, Rialto, Upland, and the County of San Bernardino. Preparation of Reclamation Plans and several Financial Assurance Cost Estimates for a variety of mining operations, some of which include inert debris landfills. Site location analysis for a rock quarry and aggregate processing facilities using various limiting data sets. These data sets include population density, geology, roadway circulation, availability of critical public services, land use compatibility, and biological constraints. Managed technical consultants and coordinated with public agencies on a joint Environmental Impact Statement (EIS) / Environmental Impact Report (EIR) for a rock quarry in southern San Diego County. Completion of annual mining inspections since 2003 for sites throughout the County of San Bernardino. Managed numerous projects involving permit processing for Site Plans, Major Use Permits, Conditional Use Permits, Surface Mining Permits, Tentative Parcel Maps, Boundary Adjustments, Rezones, and Building Permits. Identification of permeable land surface area through interpretation of soil classification, land use development, geology, elevation, and climatic influences. Coordination with sub-contractors, consultants, community planning groups and county/city staff. Mr. Jokerst is skilled with the use of ArcGIS software and a number of complementary applications including Visual Basic, Adobe Illustrator, Photoshop, Excel, ERDAS Imagine, and Java Programming. Travis is a husband, father of three kids, and enjoys spending time with his family and friends. He has always had an interest in sports. Travis played several years of baseball during his childhood, lacrosse while in high school, and is enjoying playing golf as much as possible (especially when he’s beating Warren). Travis also likes to camp and hike, which has included summiting Half Dome, San Jacinto Peak, San Gorgonio Mountain and Mount Whitney. 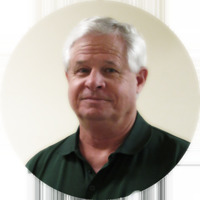 Dr. Danny Sims has worked in the natural resources industry since 1987. His breadth of experience in the mining industry, including work as an exploration and engineering geologist and an Arizona mining attorney, provides comprehensive understanding of technical, regulatory and business aspects of mining. His analysis of mining properties has helped many clients to make informed exploration and mining decisions and to optimize their resources. Dr. Sims performs material characterization for aggregate and cement resources; evaluates property potential for aggregate, industrial minerals and metals; and maps and interprets geology for mine-related environmental remediation. His mapping, sampling and petrographic work provides necessary context for understanding ASTM test results at a deposit-wide scale so that the test results can be made useful and applied appropriately. Map and interpret geology for slope stability and mine design. Perform slope stability analysis for mine design and reclamation plans. Directed consultants and employees, and provided technical support for a 50 MW geothermal power plant located in Imperial County, California. Developed well targets using seismic reflection magnetotellurics, gravity, air and ground magnetics, seismology, geochemistry, various petrophysical tools, InSAR, and Leapfrog 3D modeling software. Directed consultants in preparation of Canadian NI 43-101 complaint resource estimates reports and in compliance with assay quality assurance and quality control protocols. Developed structural geology and geochemical models to guide regional exploration for vein and prophyry copper deposits and provided deposit-scale drill targets in the Sierra Madre region of Mexico. Performed comprehensive due dilligence, including evaluation of environmental liability, for the purchase of several historic mine properties. Developed argument that resulted in summary judgment in a mining claim dispute. Mapped underground mines, pre-mine surfaces, and over 200 linear miles of open pit mine bench faces for structure and rock strength to support geotechnical analysis for slope design. Assisted mine geologists in development of geological models for slope stability analysis. Supervised standard and oriented core drilling and core logging. Developed curriculum and taught the Geological Engineering Field Camp. Taught Geology Field Camps, Structural Geology and Physical Geology Labs. Logged thousands of feet of core and standardized logging at the Red Dog deposit. Worked with CSIRO to design and perform a petrologic and petrographic material characterization study to help increase recovery at Red Dog. Performed helicopter-supported mineral exploration throughout the Alaska Range, Talkeetna Range, Kuskokwim Range and Alaska Peninsula. Performed exploration and submittal evaluation for sediment-hosted gold deposits in northeastern Nevada. Mapped and sampled historic underground mines and supervised reverse circulation drilling. 40 hour Hazardous Materials First Responder and Hazardous Materials Industrial Technician Certification. Agrium Inc., ID' Lehigh Southwest Cement, CA; Nordic Industries, CA; Rio Tinto Kennecott, Canada; Superior Ready Mix, CA; TMDR Alberhill LLC, CA; U.S. Borax/Rio Tinto Technical Services. Catalyst Geothermal LLC, UT; CHAR LLC, ID; Olene Gap Geothermal LLC, OR. *No Legal services are offered and there is no intention to provide legal services or legal advice in communications with Danny Sims. *No attorney- client relationship can be created in communications with Danny Sims. Crystal Howard has over 6 years of experience as an Economist specializing in the construction aggregates industry. Utilizing her economics background, Ms. Howard has completed several market studies, economic impact reports and developed asset valuation models applied to the construction aggregates industry. Her expertise is in identifying an issue and developing an analytical strategy for reaching an economical solution. In addition to her economic analysis responsibilities, Ms. Howard engages in public outreach for the local construction aggregates industry. She also has substantial experience working with GIS. This skill significantly enhances her ability to create comprehensive studies and reports for the industry. Preparation of construction aggregate market studies for a variety of mining operations. Completed an economic impact report for a construction aggregate quarry. Developed several mineral asset valuation models. Manages and conducts CalCIMA Chapter meetings and objectives. Educates public policy makers and community groups about construction aggregate economics. Created a coalition of related associations in San Diego to focus on the availability of construction aggregates in the County. Identifies potential locations for a rock quarry using GIS by incorporating various parameters which include: population density, geology, roadway circulation, available of critical public utilities, zoning, and biological constraints. Managed projects with respect to staking mining claims as well as preparing a Notice and Plan of Operations for the Bureau of Land Management. Supported numerous projects involving permit processing for Reclamation Plans, Site Plans, Major Use Permits, Conditional Use Permits, Financial Assurances, and Contract Negotiations. Outstanding communication, presentation and interpersonal skills. Knowledgeable of CEQA and NEPA, as well as EIS and EIR reports. As lead GIS Technician, Ms. Howard developed precise editing procedures, maintained excellent client relationships and managed staff for utility projects. She was responsible for training technicians to ensure projects were completed accurately to meet deadlines. Ms. Howard was responsible for maintaining an Access database for water quality projects. In addition, she assisted in developing and testing the custom GIS software developed by Utah State University, MapWindow. Ms. Howard also performed water quality field studies, performed statistical analysis on project related data, and created a variety of maps for a variety of department environmental projects. Yap, Crystal; Ken Foster; Paul Preckel; Otto Doering; and Brian Richert. “Mitigating the Compliance Cost of a Phosphorus-Based Swine Manure Management Policy.” Journal of Agricultural and Applied Economics, 36, 1 (April 2004): 23-34. Co-author of the “Hypoxia in the Gulf of Mexico: Topic 6. Evaluation of Economic Costs and Benefits of Methods for Reducing Nutrient Loads to the Gulf of Mexico.” A National Centers for Coastal Ocean Science Gulf of Mexico Hypoxia Assessment publication. Graber, Brian; Crystal Yap; and Sara Johnson. “Small Dam Removal: A Review of Potential Economic Benefits.” Trout Unlimited, Oct. 2001. Prior to working for EnviroMINE, Ms. Howard raced professionally for the Subway Cycling Team and served as the women’s team captain. Cycling requires discipline in training and mental toughness to perform at your best. She has transferred these skills to her job at EnviroMINE and strives to obtain the best outcome for clients. Even after “retiring” from professional cycling and starting to work for EnviroMINE, Ms. Howard has continued to be involved in cycling. For instance, she competed in the 2007 Duathlon World Championships in Italy and is currently the women’s team captain and President of the SkyFlash Cycling team. Toni Coalson has many years of experience with the implementation of GIS technologies which includes a variety of applications including physical and cultural spatial analysis. Coalson has assisted with the completion of numerous GIS analytical projects that compare physical and cultural constraints as a means for describing complex interactions between natural resources and population characteristics. She has also assisted with the preparation of detailed graphic materials to illustrate important project characteristics and environmental impact issues. Site location analysis for a rock quarry using various limiting data sets that include population density, geology, roadway circulation, availability of critical public services, land use compatibility, and biological constraints. Biological and cultural resource mapping for various development projects. Use of Trimble GPS with ArcPad extension to map environmental characteristics, and downloading and presentation of GPS data in ArcGIS/Info applications. Comparison of land use constraints for aggregate resource development. Mapping of exploration data to assist with economic feasibility studies for mineral resource development. Mapping of utility easements and water system features using a variety of data sources. Site visibility analysis using Spatial Analyst extension. AutoCad, Visual Basics, Excel and MS Access. Jamie Metivier is the office manager and assists on a variety of projects. New to the mining and reclamation field, Metivier is gaining experience with various regulations that affect mining operators, and she is learning how Lead Agencies implement these regulations. Her duties include payroll, billing, accounts receivable, vendor communications, management of the office archives and providing general assistance to project managers. Like most EnviroMINE staff, Jamie is trained in GIS sofware and provides assistance when needed. She is well organized, highly personable and understands EnviroMINE’s devotion to immediacy. Research on Properties Information and Permit documentation. Working on hot rods with her husband. Kristen Davis has 5 years experience with project management, SMARA compliance and annual reporting, IDEFOs, acquisition due diligence, zoning and planning permits and entitlements and Waste Discharge Requirements within the mining industry and other commercial/industrial industries. Ms. Davis’ assignments consist of preparation of IDEFO Operation Plans; Waste Discharge Requirements compliance and implementation; SMARA compliance, annual reporting, and cost estimate preparation; due diligence reports for site acquisition. These duties include site research, communicating with clients, coordination with technical specialists and subcontractors, and communication with regulatory agencies. Preparation of Reclamation Plans amendments, SMARA compliance, annual reporting and several Financial Assurance Cost Estimates preparation for a variety of mining operations in Southern California. Managed technical consultants and coordinated with public agency on a Precise Plan of Design project for a mid-sized senior housing facility in Orange County. Acquisition Due Diligence for a property in the County of Riverside. Preparation of Report of Waste Discharge, Waste Discharge Requirements compliance and implementation, Groundwater Monitoring Plans preparation for a variety of mining operations in Los Angeles County. Managed numerous projects involving permit processing for Site Plans, Variances, Conditional Use Permits, Specific Plans. Coordination with clients, sub-contractors, consultants, and county/city staff. Kristen is very involved in the Orange Plaza Rotary Club. Rotary is an international service organization that conducts service projects in local communities and around the world. She is currently President of her club. In her free time Kristen enjoys hiking, camping, traveling, spending time outdoors, going to the beach and spending quality time with her family and friends. She is a huge Anaheim Ducks hockey and University of Michigan football fan.